I enjoy making art and teaching at Tarrant County College in Hurst Texas. I am also an arts advocate. My BFA degree is in Painting and Art History and I took a Masters in Ceramics and Metals with a minor in Sculpture from Texas Woman’s University prior to earning a Texas State All Level Teaching Certificate. Teachers and friends, JohnBrough Miller, Ishmael Soto, Victor Baboo, June Kineko, Don Reitz, Robin Hopper, RimasVisGirda , are my most influential guides in creative process, and philosophy. I like natural, durable materials, and in recent years I use mostly bronze and clay making functional and sculptural forms. The expressions are serious commentary, portraits, or whimsical interpretations, all usually experimental. I often feel as if I have been an emerging artist for more than forty years because I like to experiment in materials, form and process to explore where I have never been. The concept for me usually dictates the materials, which characteristically by their nature help to convey my message. 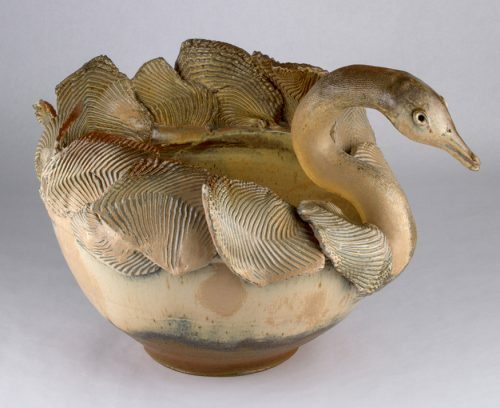 My work has been collected internationally and I have presented pedagogy lectures, ceramic workshops, artist’s talks, and I have been included in area and national exhibits with awards. I have been recognized in my field by Who’s Who in America, Who’s Who American Teachers, and Texas Clay Art. I have published articles in the field of Ceramics and my work has also been included in various articles and books including Daryl Baird’s; From a Slab of Clay. My Grapevine Tornado was on view at Gaylord Hotel in Grapevine Texas. 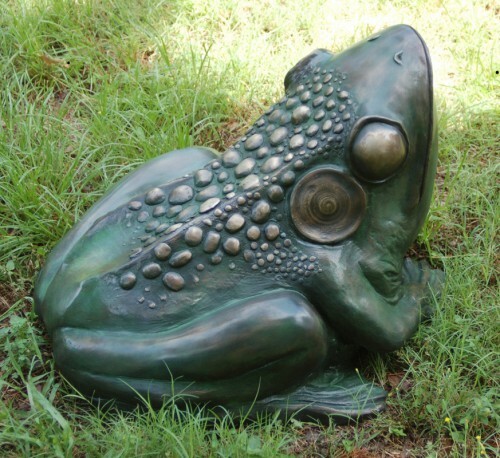 I installed a bronze sculpture for the City Of Denton at North Lakes Park in 2015. 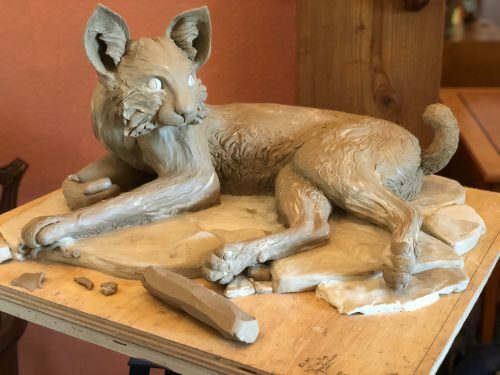 This Fall, The Town of Flower Mound will install three commissioned bronze animals as part of the Nature Trial in Heritage Park from our studio.